SW-MOTECH aluminium engine guard  has a solid bottom without cutouts. 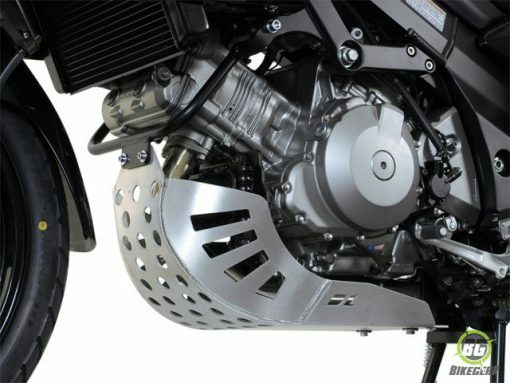 SW-MOTECH aluminium engine guard is constructed of a 4 mm-thick aluminium base plate and 3 mm-thick side plates for heavy-duty, light-weight protection. Where the base plates and side plates overlap, it forms a riveted 7 mm-thick rail for extra rigidity. Base plate includes side protectors that wrap around the engine block to provide both bottom and side protection. Available in bare aluminium or powder-coated black. Installation of the SW-MOTECH engine guard requires previous installation of the SW-MOTECH crashbars, which are sold separately. 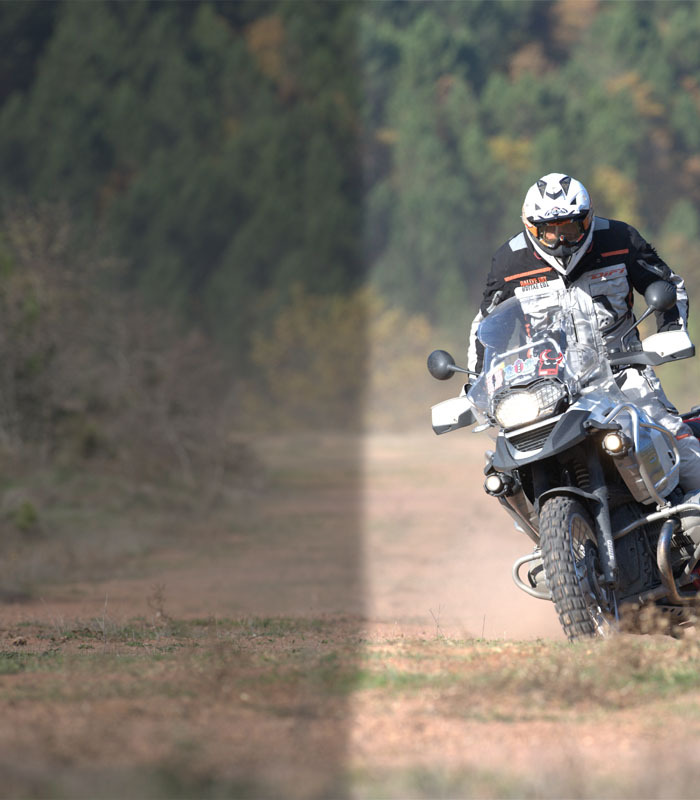 The SW-MOTECH engine guard is not compatible with Givi or Hepco-Becker crash-bars. 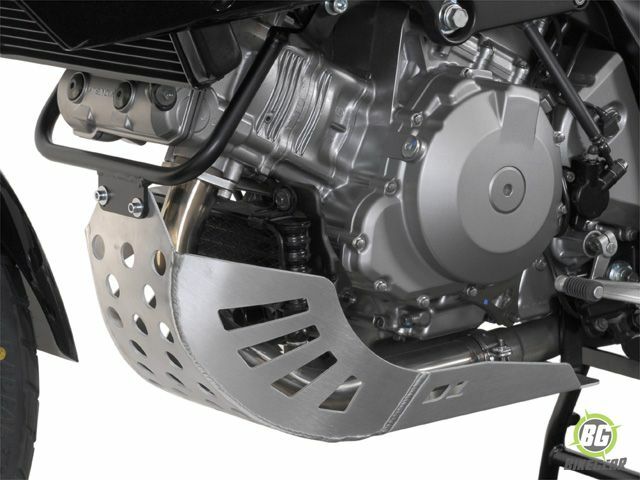 The SW-MOTECH engine guard can be used without a center-stand, or with the SW-MOTECH, Suzuki or Hepco-Becker center-stand. The skid-plate has a solid bottom without cutouts. Only two screws need to be removed from the plate to allow access behind the skidplate to change the oil and filter.